Hundreds of people write documents – internal and external – for Heathrow. All of them have to speak with the Heathrow voice. 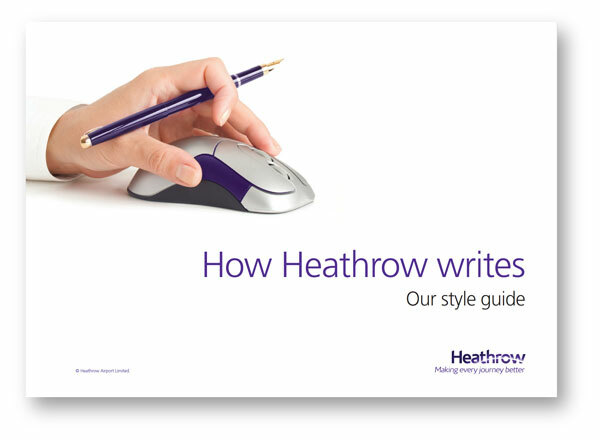 How Heathrow Writes is the style guide that helps them do it. 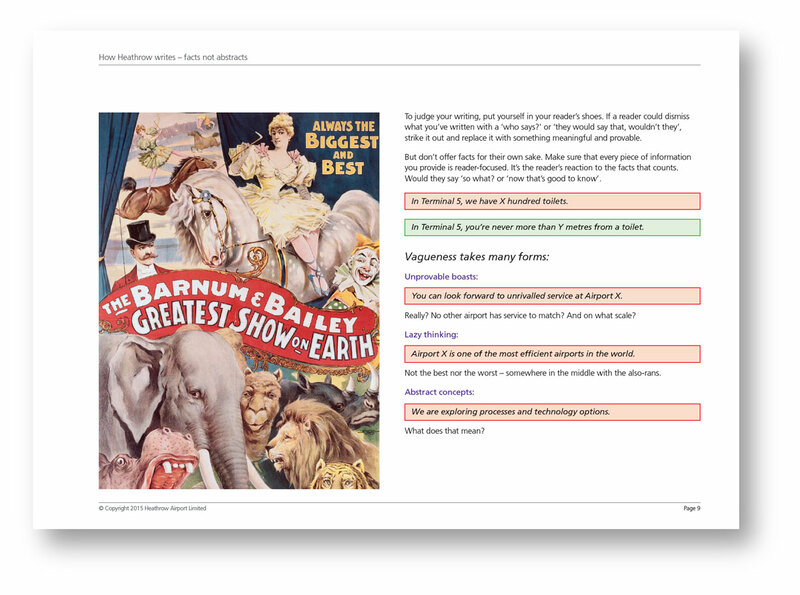 It combines tips on writing and tone of voice with a detailed set of editorial rules covering everything from capitalisation to bullet points to weights and measures. 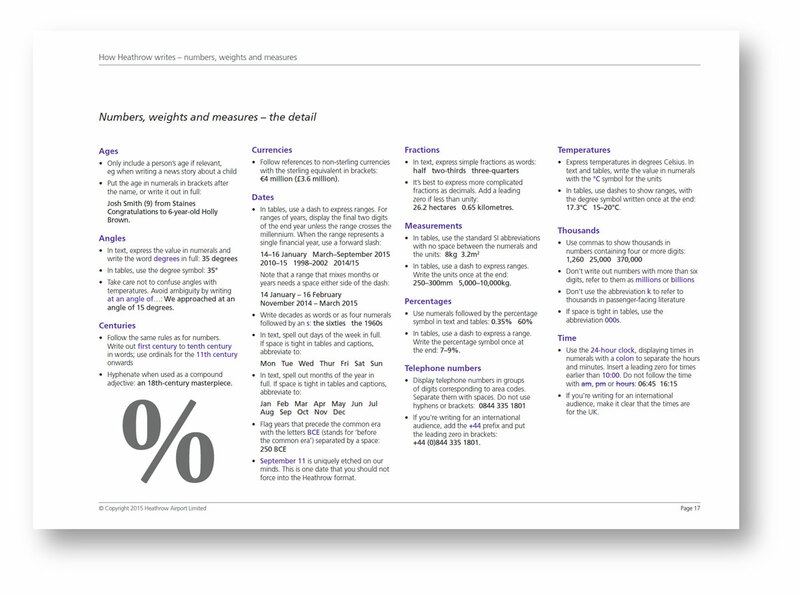 We also compiled a companion document, The Heathrow Dictionary, containing definitive spellings and capitalisations for the jargon and initialisms that an organisation the size of Heathrow accumulates. 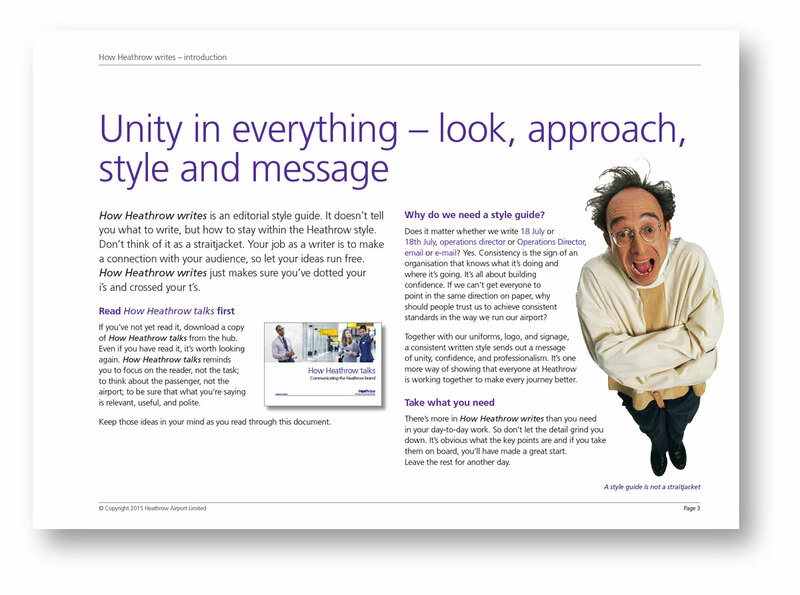 The extracts shown here are from the second edition of How Heathrow Writes, updated by us in 2015.